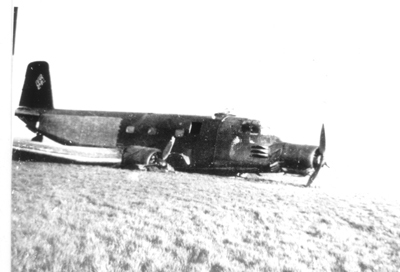 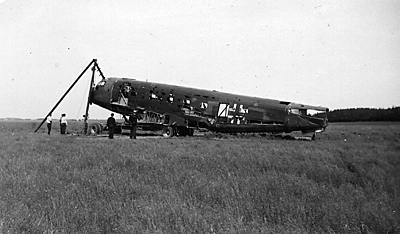 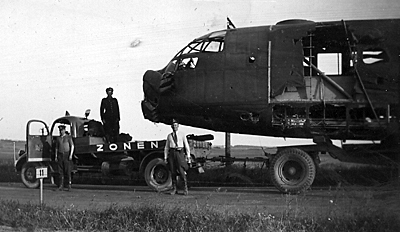 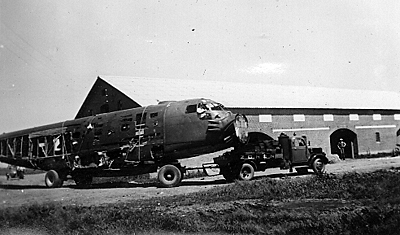 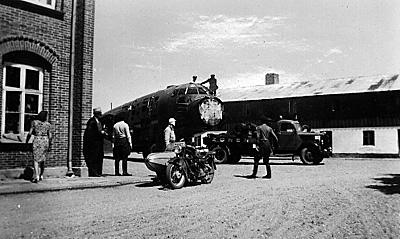 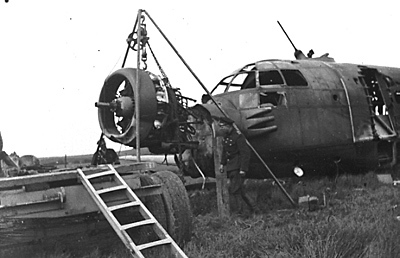 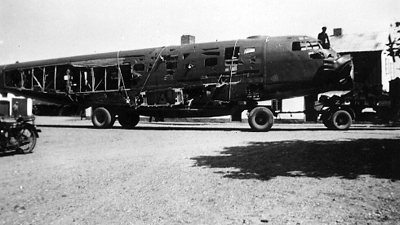 Ju 352 emergency landed west of Thisted 4/5 1945. 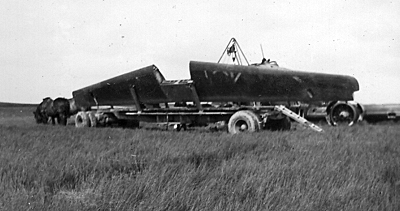 T/o Fehmarn Op: Eggebek (Escape). 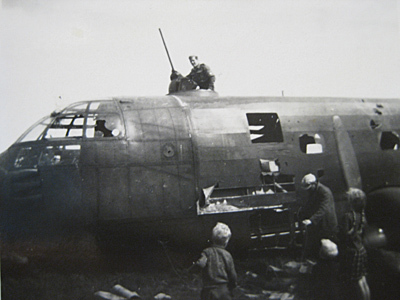 The aircraft took off from Fliegerhorst Grossenbrode heading for Eggebek on the morning of 4/5 to get away from the Russians together with a second Ju 352. 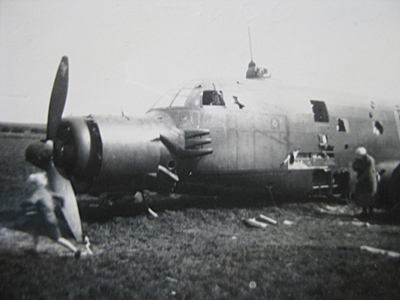 It was however decided to try to reach Frederikshavn even though only two of the aircrafts three engines were running properly. 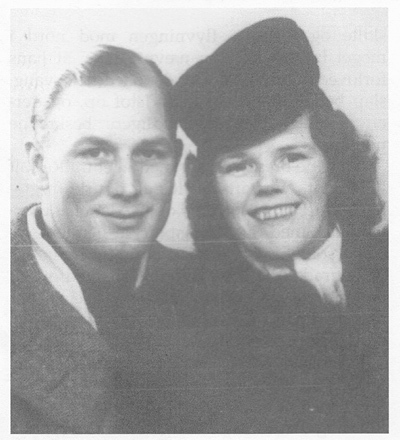 On board were Pilot Arthur Kührt and his Danish fiancé Aase Krogh and a Second pilot, the navigator and 2 soldiers. 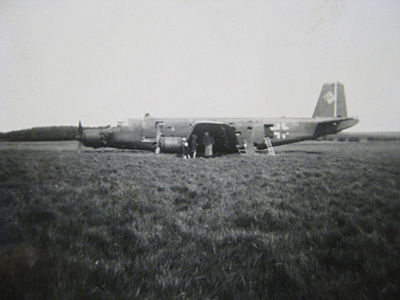 They headed north up the Jylland peninsula at low altitude to escape attention of fighter. 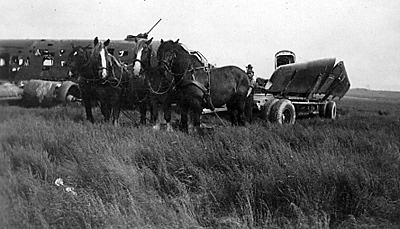 As they had lost the map they came too far west and when the reached the Thisted area they were low and fuel and the engines were running rough. 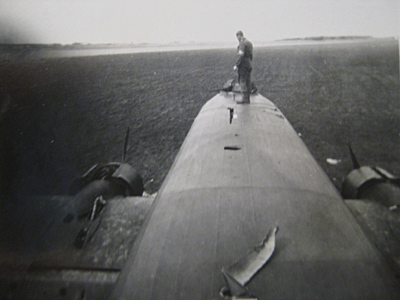 It was necessary to land and when Arthur Kürth spotted a field of sufficient length he landed the aircraft. 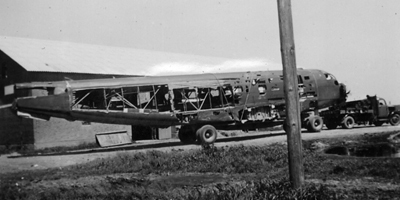 It was a bumpy ride over the fields and tracks and the two passengers were thrown around in the fuselage. 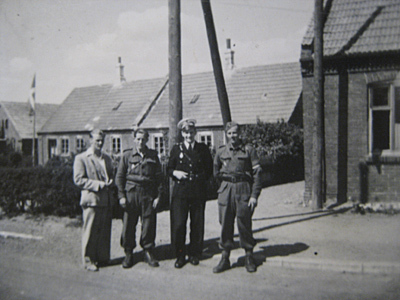 The time was 07:25 hrs and the place was Rosvang farm about 7 kilometres south west of Thisted. 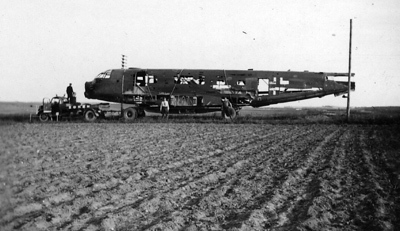 Later on the same day the crew was transported to the former Fliegerhorst See Dragsbæk in Thisted. 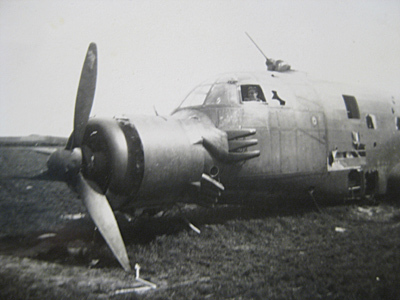 The other Ju 352 codet G6+EX with Navigator Reichardt onboard landed safely on Fliegerhorst Eggebek. 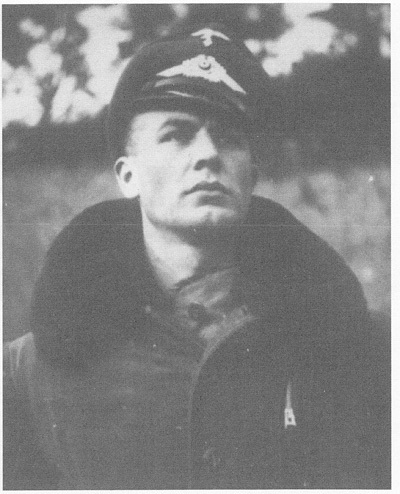 Sources: LBUK, Henning Skov, Gerhard, D.Reichardt.